Africa, one continent that has always fascinated me. If you’re planning to visit then with the help of Nicole of Adventures of Lil Nicki we collated a 10 ten list of places you must see whilst road-tripping from Cape Town to Zanzibar, and if you’re looking for where to stay during your travels, you can find lots of accommodation options on Accommo Direct. Don’t forget to see this beautiful city before you depart from it. 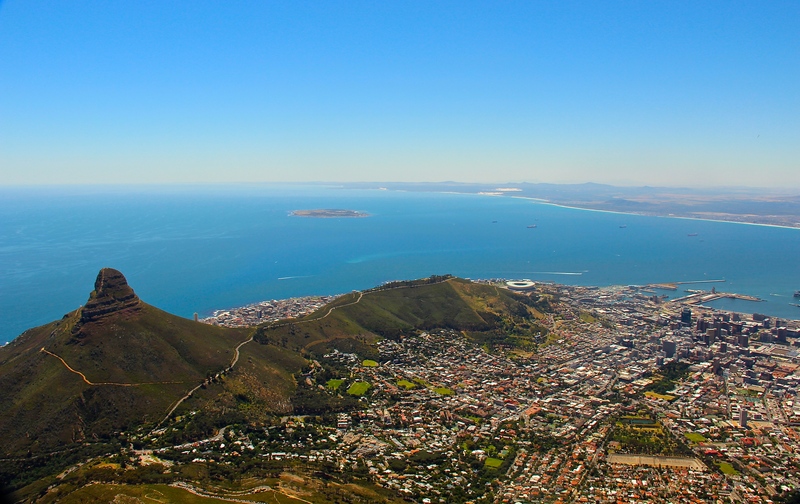 Make time to a get in the great views of the city from the top of Table Mountain, soak in some sun on Cape Town’s famous Clifton Beaches and Camps Bay! Surreal is the best way to describe the Deadvlei. A white clay pan with dead camel thorn trees scattered around. Giant orange sand dunes thought to be the biggest in the world surrounding the pan. And don’t forget the nearby famous Sossusvlei and Dune 45. This is a little slice of heaven inside the Namib-Naukluft Park. 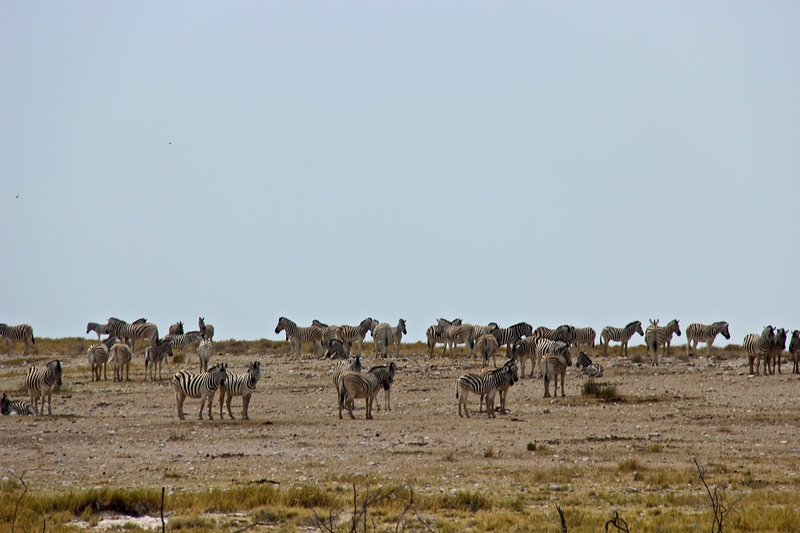 Named after the large salt pan within the park, Etosha is over 22,000 square kilometers of park that gives you the chance to view 116 different mammal species. Etosha is packed full of elephant, lions, leopard, meerkats, warthogs, giraffes and more! You may even get lucky and see one of its rhinos. 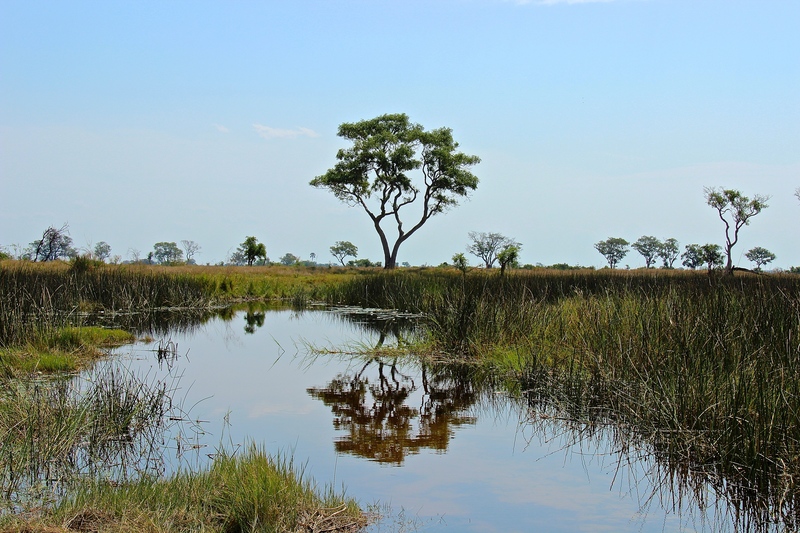 One of the largest inland deltas in Africa, the Okavango Delta is a magical place. Scattered with thousands of exotic islands. Travel by mokoro with locals to one of the many islands and set up bush camp. You have the chance to go on walking safaris inside the delta to view wildlife. Chobe National Park is most widely known for its high concentration of elephants, and in general as one of the highest concentrations of game in all of Africa. In the local language it’s known at Mosi-oa-Tunya which translates out to the ‘smoke that thunders’ which couldn’t be more accurate. It’s a stunning site to see as you make your way north from Cape Town. The falls are viewed best from the Zimbabwean side of the border. Ok, Victoria Falls makes the list twice. 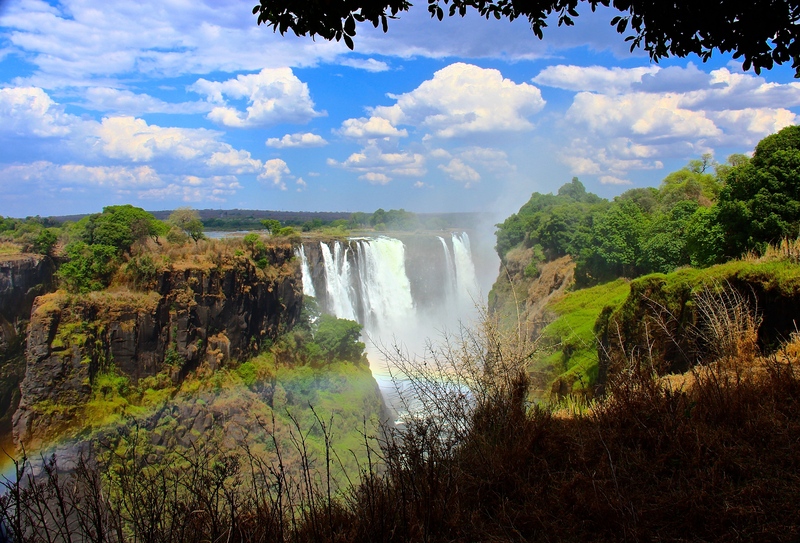 Once on the Zambian side of the falls make the effort to get out to the Devil’s Pool. It really is an exhilarating and unique experience. The Pool is formed naturally by the shaping of the rocks in a small area of the falls on Livingstone Island. Only here do you get a chance to sit just inches from the edge of the falls. It truly is the ultimate infinity pool. One of the best national parks in Africa for a walking safari. Get a chance to be on the ground with the wildlife, which can be a beautiful yet terrifying experience. When a lake makes up 75% of a country’s border it’s hard to miss. Set up camp on one of Lake Malawi’s wonderful beaches. Get to know the friendly locals, play a game of bao and just relax. Malawi is one of the least developed countries in the world. The last stop. The idyllic Indian Ocean island of Zanzibar. Celebrate the end of the over 8,000 kilometer road trip in Zanzibar’s famous Stone Town and on its blinding white sand perfect beaches. Have you ever traveled to Africa? We would love to hear what you would add to our list. If you want to see any more from Nicole’s trip check her out here! This is absolutely amazing! I have family in South Africa and I’m just dying to visit one day. I just want to visit all the places you have shown us through piks. Just awesome and breathtakingly beautiful ! Fantastic! I am going to visit Etosha National Park next week. Me and my mom are going to visit this gorgeous place for the first time. I am so glad that i have found your post! I have already packed most of my clothes. I am not sure if it is appropriate to put dresses in my bag. Thank you for sharing your post! Greetings!